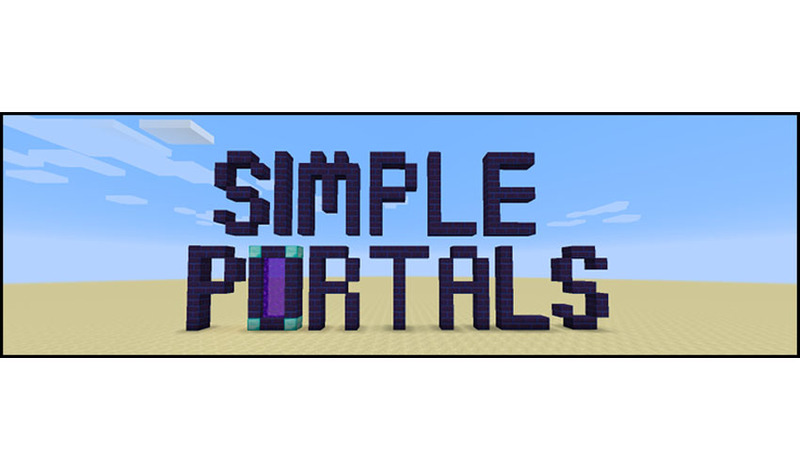 Simple Portals Mod 1.12.2/1.11.2 adds constructable portals that allow interdimensional travel between them as long as they have the same address. Can be build in different sizes 3×3 up to 7×7 (default). Old school address system using the corner blocks. 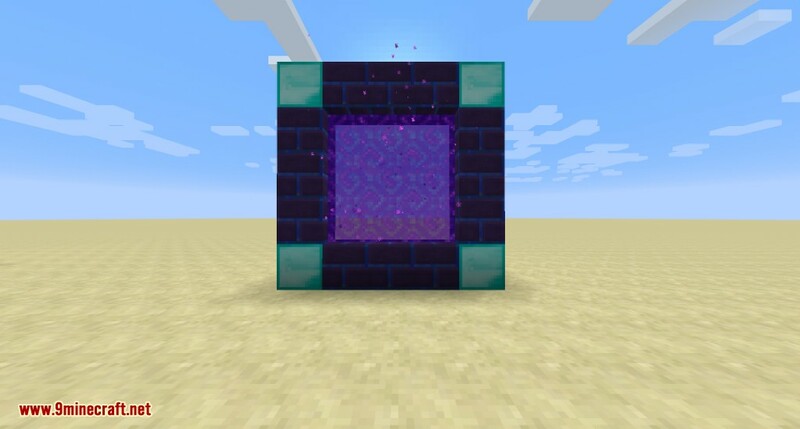 The portal is constructed similar to the nether portal. It needs to be rectangular and can be of any size between 3×3 and 7×7 (intermediate sizes like 3×6 also work). The 4 corners of the portal must be filled with any combination of simple blocks (non-tileentity). These 4 blocks represent the portals address. 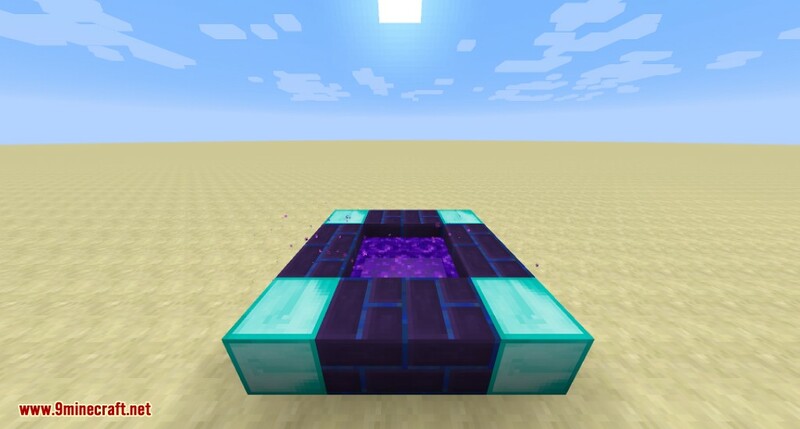 To activate the portal right click with the portal activator on any of the inner faces of the portal frame (just like you would with flint and steel and the nether portal). The portal activator can also be used by a dispenser. 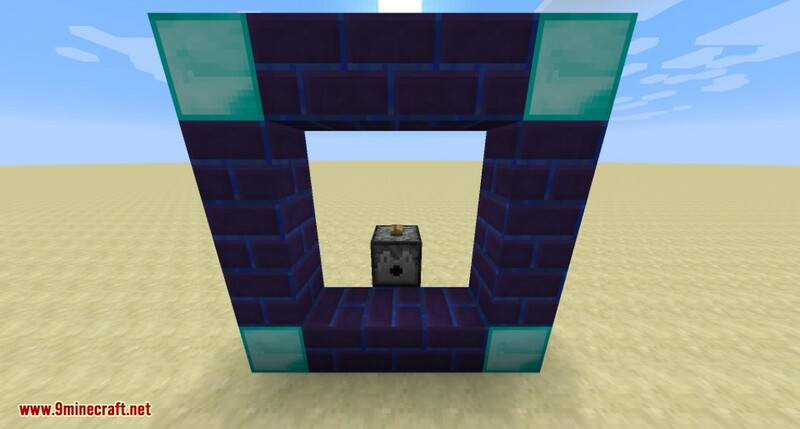 The dispenser must face the block in front of any of the inner faces of the portal frame. As stated before, the 4 corner blocks represent the portals address. 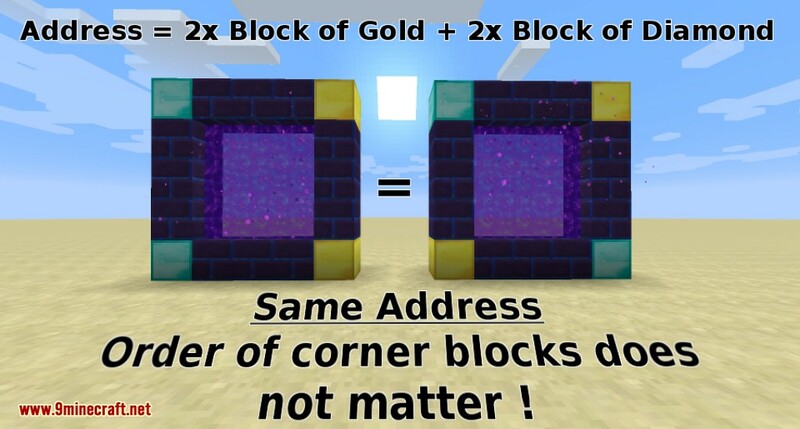 The order of the corner blocks does not matter. 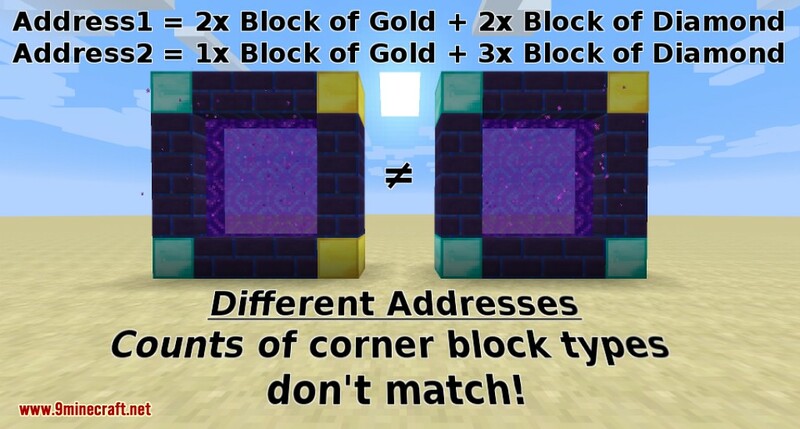 The address only consists of the types of the corner blocks and their count. 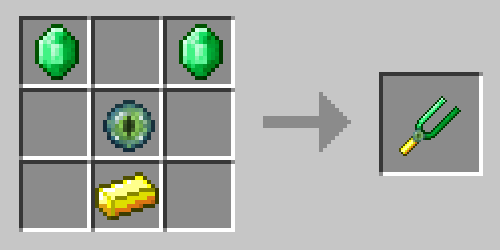 For example diamond blocks on the left and gold blocks on the right is the same as gold blocks on the left and diamond blocks on the right or any other order of 2 diamond and 2 gold blocks. Meta data of blocks is also considered, so using differently colored wool will yield different addresses. If more than 2 portals share the same address a random destination portal is chosen. If there is not enough room around a portal for the player to fit in, that portal is not considered a valid destination. 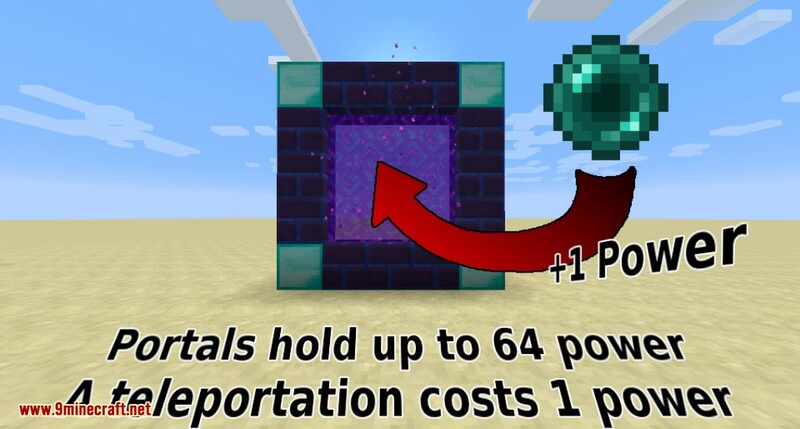 By default using a portal costs 1 power and portals can store up to 64 power. Both values can be changed in the config. 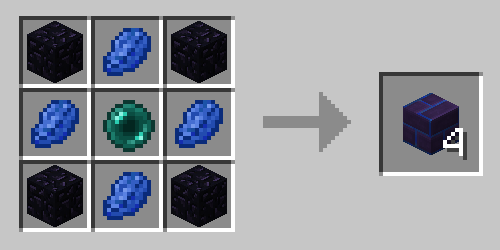 Power is added to the portal by throwing in a power item (ender pearls by default). 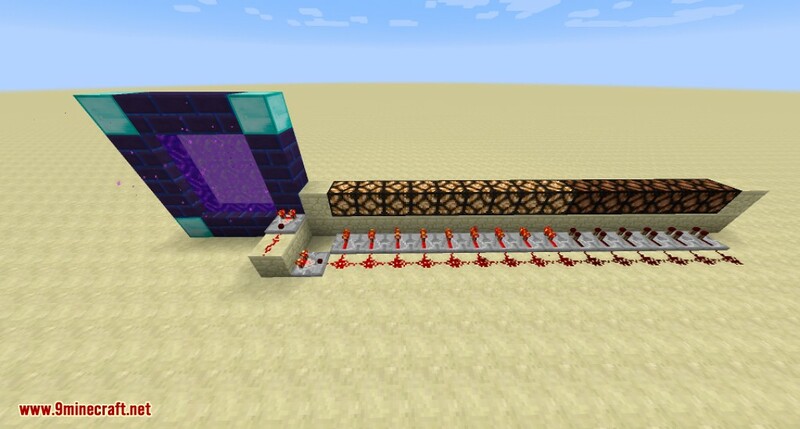 To visualize a portals current power level or for automation purposes replace a portal frame with a power gauge and place a comparator next to it. This works the same as with a chest. 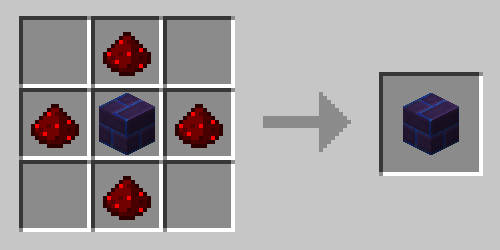 The redstone signal strength is based on the power stored.